Presented by Nonsequitur and Earshot Jazz Festival. 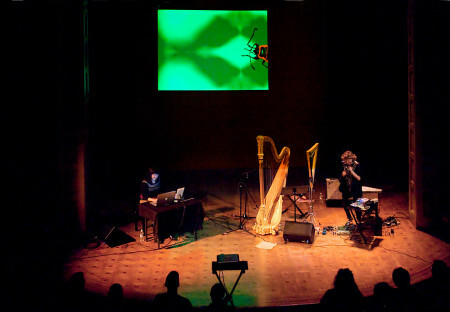 Long-time collaborators at the forefront of the Downtown NYC avant garde, electronic percussionist Ikue Mori and electronic/acoustic harpist Zeena Parkins (aka PHANTOM ORCHARD) weave a mix of beauty and noise amidst live video projections in a musical partnership that borders on the telepathic. The esteemed duo of Vancouver cellist Peggy Lee and the astonishing Central Asian vocalist Saadet Türköz combine free improvisation with the Kazakh and Turkish forms of Türköz’s childhood.